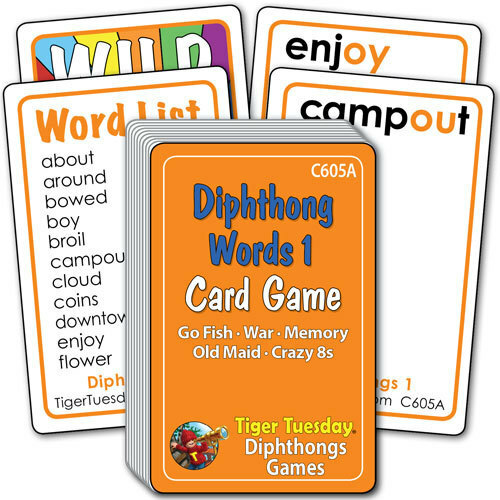 See decoding skills and fluency improve with Diphthongs Card Games! With one deck of cards focusing on particular diphthongs occurring in common language, young readers practice skills in decoding and fluency, playing by the rules of Go Fish, Crazy Eights, Memory, Old Maid or War. Games come with one deck of cards and directions for playing different games.